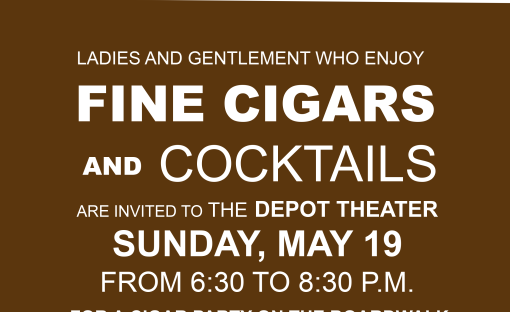 Join us for Fine Cigars and Cocktails at the Depot Theater Company on Sunday, May 19th from 6:30 pm-8:30 pm on the boardwalk on the south side of the Depot Theater Lobby. 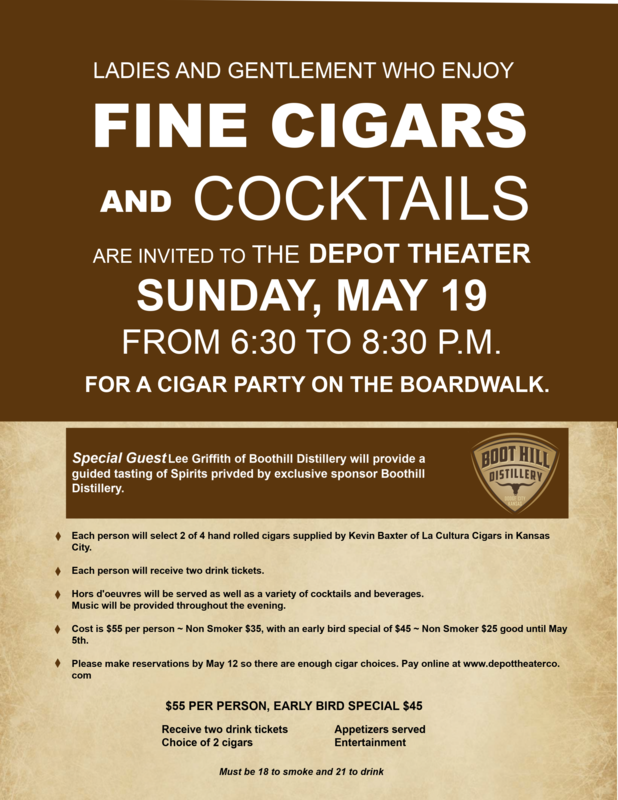 We are excited that Boothill Distillery will be the sole liquor sponsor for this event! Hors d’oeuvres will be served as well as a variety of cocktails and beverages. Music will also be provided throughout the evening. Must be 18+ to smoke and 21+ to drink. 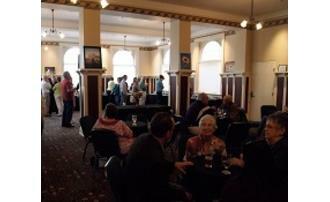 Cost is $55 per person, with an early bird special of $45 per person until May 5th. Non-Smokers price is $35 per person, with an early bird special of $25 per person until April May 5th. Please make your reservation by May 12th. Tickets will go on sale April 2nd.